Celebrity makeup artist Christine Lucignano. 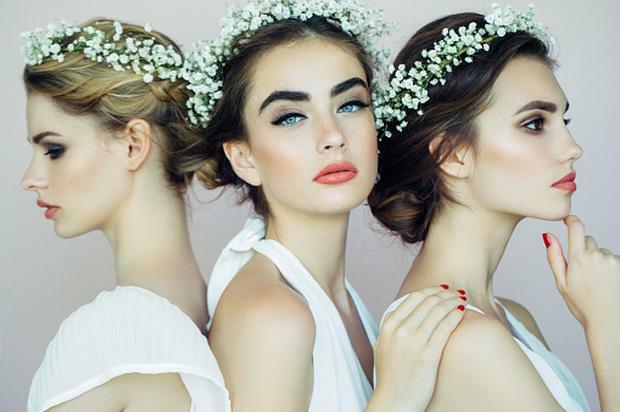 Celebrity makeup artist for Chanel Christine Lucignano told Independent.ie the biggest bridal makeup trends for 2017, how to prep your skin so it's in tip-top condition and where to begin if makeup isn't your forte. What are the biggest trends in bridal makeup for 2017? One of the biggest trends in bridal makeup for 2017 is the concept of changing your makeup as the day progresses. In other words, start out with a bit more of a conservative or paired back makeup look that is fresh and beautiful and doesn’t demand attention. Then, as the day progresses or when the lighting changes, a bit more drama is put in place, so the face now takes centre stage. The easiest way to accomplish this is to go for a bold lip and balance it with a bit more drama on the eye. How would you advise a bride to prep her skin ahead of the big day? The skin prep for your wedding is essential. I would recommend meeting with a great skin expert and start a custom course of facials, so that on your big day you look the most beautiful and fresh version of yourself. What makeup look is the most highly requested by brides? Although I don’t really have the schedule availability to take care of brides these days, the few I am lucky enough to paint always want the same thing: amazing makeup that lasts all day. The use of great skin care, sheer layers of makeup built and blended to perfection and waterproof products are always top of the list! Can you see the strong brow trend and contouring sticking around this year? The trend of a strong brow has no place on your wedding day. Unless, of course, that is what you wear every day. In other words, don’t switch up your makeup just for the one day as you will look back on the video and photograph in 20 years time and may have regrets. So, if you are a fan of the blocky or 'Instagram Brow' just pull back a touch for the wedding day as I can guarantee you it will not be what you want to see in decades to come. The same applies with contour. Contour has always been on the menu for a great makeup artist but the extreme versions you may see today, paired with extreme highlighting, will most definitely not be pleasing to the eye in daylight photographs for any face. Do brides need to hire a makeup artist for their wedding day? Hiring a professional makeup artist for your wedding day is a luxury, for sure. Depending on your skill set it may actually be an essential. I suppose it is a nice treat for any bride to have a glam squad for her big day, so why not hire someone who is great to have around on the day as well as someone who has a great reputation in producing beautiful makeup in real life as well as in photographs! How can a bride ensure that her makeup lasts all day long? Although you can’t guarantee that your makeup will last all day, you can sure give yourself a fighting chance. It's all in the product choices! Use sheer layers of waterproof eye makeup where possible, as well as long-wear foundations. And if your skin is healthy and prepped properly, you should be able to look glowing and gorgeous for at least 12-15 hours. Of course, your lips are an entity onto themselves so keep a touch-up with you at all times and/or choose a long wearing stain based lipstick. Talk us through a typical bridal makeup look. There really is no 'typical' bridal look in my books. Each bride, her skin and features are unique. I think the universal approach should be to look like yourself but the most fresh and polished version of that! What tips would you give to a bride who is unfamiliar with makeup? A bride who is not a 'makeup person' should really book a few makeup appointments either in a store or privately to get educated on what suits their particular face and comfort level. Then, on the big day they won’t fall into the trap of going hell-for-leather and ending up looking like a cartoon version of themselves. Whether you are a makeup pro or a novice I think a bride should always remember that they are babes to begin with, and there's no need to radically change their look on their wedding day. The end goal should be a glowing, fresh and polished version of themselves... plus a touch or two of magic! 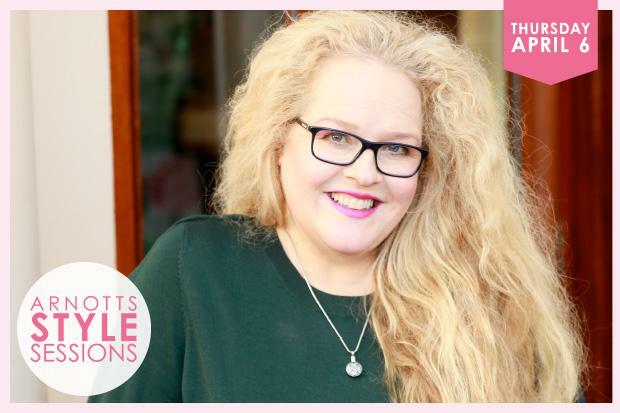 Christine Lucignano will be in the Arnotts Beauty Zone in the accessories hall at 6pm on Thursday April 6th sharing her top tips and tricks while doing a makeover on three women with different make up concerns. See www.arnotts.ie/stylesessions to RSVP.